A native New Yorker from Huntington, Long Island, band leader and guitar/vocalist Mark Koslowe truly fits the definition of a self-starter. 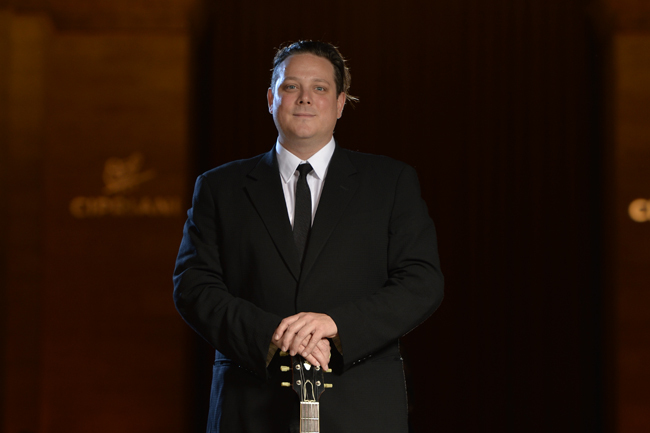 Holding a Master’s Degree in Classical Guitar from the prestigious Manhattan School of Music, Mark wasn’t sure if performing in bands at private parties was for him. After performing at his own wedding in 2009, Mark realized how much fun he had performing. It was clearly the inspiration for him to “get into the business” full time. He was hooked. Before signing on with his own band with Hank Lane Music in 2010, like many musicians, Mark toured up and down the East Coast and the Midwest with a band playing original music. With influences ranging from Bach (after all he was Classically trained!) to the Beatles, Phish, the Grateful Dead, Pink Floyd, Lady Gaga and Stevie Wonder, Mark has transformed his eclectic musical taste into a fun, energetic style with his own dance band. His special ability to improvise on the spot has served Mark well particularly in the wedding business where reading the dance floor crowd has been a key ingredient to the band’s success. Tim and I just wanted to send a quick note to say thank you so much! Marc and the band were absolutely amazing and completely surpassed our high expectations! We looked around at one point and realized every single person was on the dance floor and we didn’t want to leave the dance floor! The music choices were everything we wanted and more. The selection was absolutely perfect for our group and I cannot tell you how many of our guests are still raving about the band now 3 weeks later! Marc is such a nice guy and did a phenomenal job making sure we were enjoying his selections and we don’t have a single negative thing to say. We definitely knew a Hank Lane band was the way to go, but we had no idea they would be so amazing. We wish it didn’t have to end! We also wanted to say we so enjoyed the process of working with you and you made it so easy and stress-free! Thanks to Hank Lane’s Marc Koslowe Band for creating such a joyful atmosphere for our wedding last weekend at the New York Botanical Garden. From our romantic first dance to the energetic hora, there was no point throughout our reception when the dance floor wasn’t packed with guests having a great time. Marc was also an excellent mc, introducing the toasts, cake-cutting, and various photo opps; and he anticipated when it was time for quiet slow-dance music and when our guests were ready to party. The music was never so loud that you felt you wanted to take a break in a separate room, but the band filled the space with cheerful tunes throughout the night, making sure to get all of our requested songs in at the exact time we had asked. The two vocalists were out on the dance floor many times throughout the night–dancing with our guests and summoning lots of enthusiasm from everyone. Thanks, too, to Danielle, Jenna, and everyone else at Hank Lane who were great to work with during the planning process, and immediately matched us up with the Marc Koslowe Band as soon as we gave them an idea of our taste in music. If you are hoping for live music at your wedding, look no further than Hank Lane’s Marc Koslowe Band!